I am excited to announce the Game of Thrones: The Complete Sixth Season Blu-ray Giveaway winner. 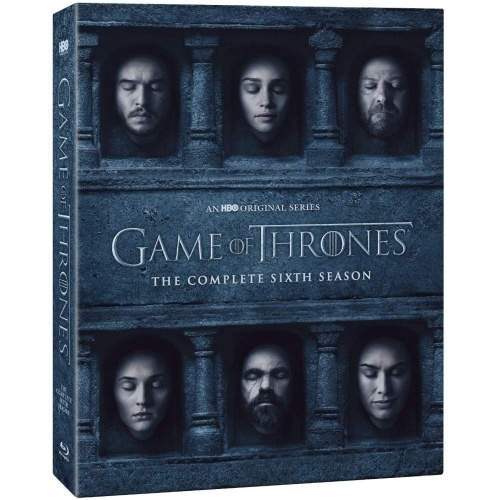 JD from Mattawan Michigan has won the complete sixth season of Game of Thrones on Blu-ray Disc from HBO Home Video, which comes with with Dolby Atmos audio and a collection of supplements. Congratulations to JD and thanks to Warner and HBO for supplying the product for this giveaway. I am excited to announce the Game of Thrones: The Complete Sixth Season Blu-ray Giveaway courtesy of our friends at HBO Home Video. 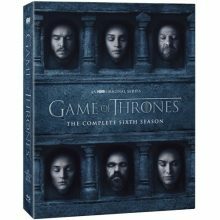 Up for grabs is the complete sixth season of Game of Thrones on Blu-ray Disc from HBO Home Video, which comes with with Dolby Atmos audio and a collection of supplements. To enter the contest, simply head to this page and enter your information. To qualify for the contest I am asking that you Like the Blu-ray Stats page on Facebook. If you already like the page, you are good to go! Feel free to share the Facebook posting about the contest with your friends and/or to add any additional comments at the end of the form. Rules – Form must be filled out complete with proper email, address and ZIP code. Must be a resident of the United States. One entry per person. Must claim prize within 48 hours of notification. Contest closes November 14th 2016 at midnight, Pacific Time. Winner must be following the Blu-rayStats Facebook page when the contest closes. I am pleased to announce the winners for April’s Deadball Blu-ray Giveaway. Michael O of Chula Vista and Darren B from San Jose were the lucky winners of the random draw. Then Dennis C won in the ‘friends of the site’ category. Congratulations to the winners, and thanks to those who entered and the other friends of the site – I appreciate the support! If you are interested in helping promote the site to your friend, follow us on Facebook and Like and Share… who knows, you may win a future giveaway! Of course thanks also to Well Go USA for generously sponsoring the giveaway! Deadball Blu-ray Giveaway Ends Today! Today is the last day for this month’s Deadball Blu-ray Giveaway courtesy of our friends at Well Go USA. 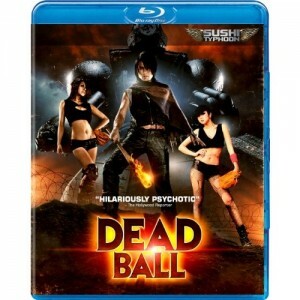 Up for grabs is the Japanese comedy spatter horror movie Deadball on Blu-ray Disc from Sushi Typhoon and Well Go USA with Japanese DTS-HD Master Audio with English subtitles and a small collection of supplements. You can see my take on the release from earlier this week in the News Log. I have a few copies to give away, so as well as the usual entry form I will be offering this disc to the most prolific friends of the site on Facebook. So Share and Like to improve your chances of winning, though as a Region A disc this one is limited to North America. To enter the contest, simply head to this page and enter your information. Feel free to let your friends who might be interested know about the contest and add any additional comments at the end of the form. Rules – Must be a resident of the United States to enter. One entry per person. Prizewinner must claim prize within 48 hours of notification. Contest closes April 30th at midnight, Pacific Daylight Time. This month we have a Deadball Blu-ray Giveaway courtesy of our friends at Well Go USA. I am pleased to announce the winner in our The Orchestrion Project Blu-ray 3D Giveaway. Blu-ray 3D was won by Paul R of Palo Alto California, and he will be receiving his prize in the near future. Congratulations to Paul and thanks to all those who entered. Thanks of course also to Dolby for sponsoring the giveaway. 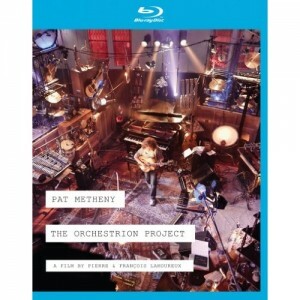 Pat Metheny: The Orchestrion Project Blu-ray 3D Giveaway Ends Soon! Just a reminder that this month’s The Orchestrion Project Blu-ray 3D Giveaway is ending soon! Up for grabs is musician Pat Metheny’s The Orchestrion Project Blu-ray 3D release from Eagle Rock Entertainment that will also play on Blu-ray equipment and also includes a nice collection of supplements. The Orchestrion Project features a 7.1 Dolby TrueHD sound track that implements the new Advanced 96K Upsampling technology from Dolby Labs. This technology is unique to Dolby and uses a special apodizing filter to mask artifacts that occur in traditional upsampling. Rules – Must be a resident of the United States to enter. One entry per person. Prizewinner must claim prize within 48 hours of notification. Contest closes August 31st at midnight, Pacific Daylight Time. This month we have a The Orchestrion Project Blu-ray 3D Giveaway courtesy of our friends at Dolby. I am pleased to announce that we have a winner in our Dexter Blu-ray Giveaway. The fresh copy of the Dexter: The Sixth Season is on its way to Dennis C from San Lorenzo, California. Dexter: The Sixth Season features a 5.1 Dolby TrueHD sound track, and we would like to say thanks to our friends at Dolby for sponsoring this event. 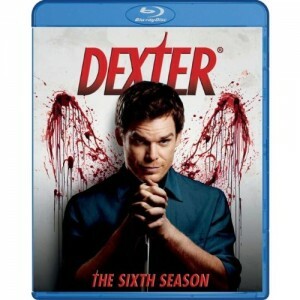 This month we have a Dexter: The Sixth Season Blu-ray Giveaway courtesy of our friends at Dolby. Up for grabs is the Dexter: The Sixth Season Blu-ray from Showtime Entertainment that includes all episodes of Season 6 and a collection of supplements. Dexter Season 6, like previous Dexter releases, features a tidy 5.1 Dolby TrueHD sound track. Things are a little different this time but entering is still simple – just head to this page and enter you details.